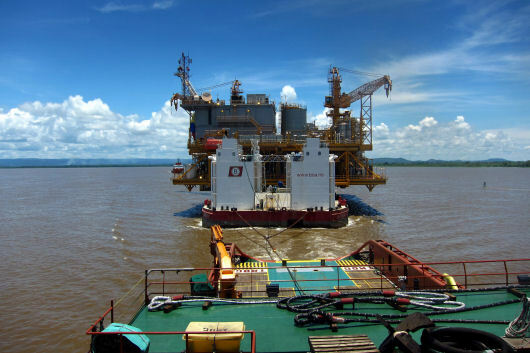 In August 2011, the 7,500 t heavy COROCORO Central Production Facility (CPF) was moved by barge from the construction site near Puerto Ordaz, Venezuela, to its offshore installation site in the Gulf of Paria. 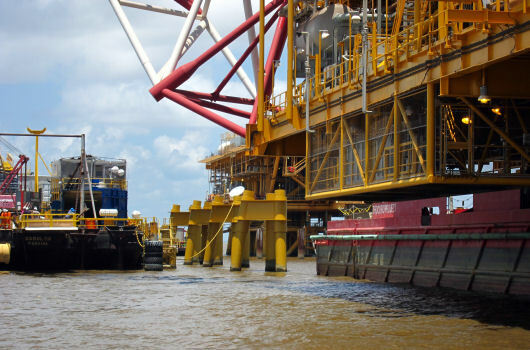 Argonautics Marine Engineering, Inc. was hired to be on-site during the tow preparations and to ride the tow down the Orinoco river to the offshore mooring site. During the preparations, the unmooring, towing, mooring, and mating procedures were reviewed and the various tugs were surveyed for suitability. 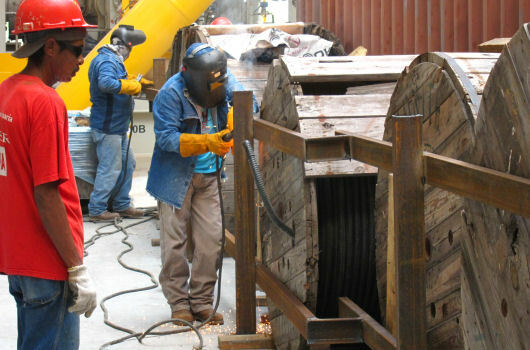 The BOABARGE 29 and the deck grillage and seafastening were also surveyed. Late August, the tow departed Puerto Ordaz and safely sailed down the Orinoco river in 3 days, anchoring each night. 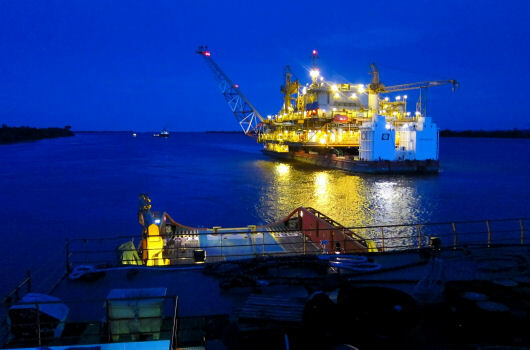 When the mouth of the river was reached, the weather forecast was favorable and the tow proceeded to the mooring site at the Corocoro field, where the barge was moored and grounded in preparation of the mating operation. 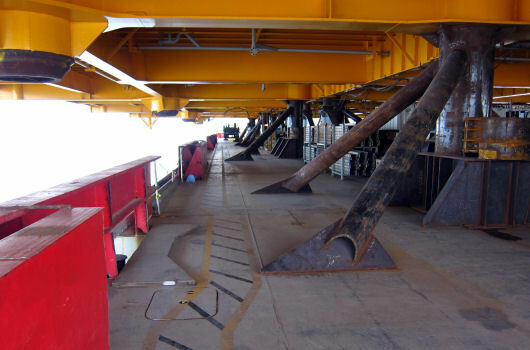 Ride the BOABARGE 29 from the last hold point offhsore to the mooring site next to the platform installation piles.